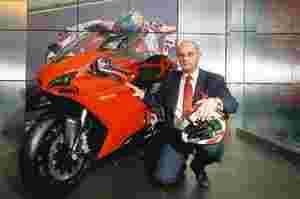 New Delhi: Mirko Bordiga, chief executive officer of Ducati Asia Pacific, is no stranger to the luxury auto business. He’s spent almost all his career selling Ducati bikes and Ferrari and Maserati cars. Global luxury bike makers have become more aggressive in the Indian market of late. Harley-Davidson announced its entry a few months ago. Are you also getting more aggressive as a result of this? To be honest, it’s the others who became more aggressive because of our actions. We entered India in 2008 and we’ve been searching for the best way to grow the brand in India. We’ve been making sure we took the right steps in the beginning. So, we found a very good location in Mumbai and now this location in Gurgaon and we’re very positive about the future. You see things are moving very fast in India in our sector. Ducati is going through the franchise route through Precision Motors India Pvt. Ltd as your sole importer. Other bike makers have set up wholly owned subsidiaries. Why have you chosen this model and what are its advantages? The Indian market is not an easy market and our company is used to operating with partners outside of the major markets. At the moment, we have subsidiaries in Europe, USA and Japan, but each one of these markets is over 2,000 units (a year). India has a huge potential but we still need to make the right steps first. In a market like this you need a local partner who knows what they’re doing. Ducati sold about 20 bikes in calendar 2008. What are your targets in 2010? We forecast a (sale of) 150 bikes. What are your plans for expanding your presence in India? We do have a plan to be present in all metros—Delhi, Mumbai, Bangalore, Hyderabad, Chennai and Kolkata. In the past you’ve sold luxury cars as well, such as Ferrari and Maserati in China. How is the Indian luxury car or bike customer different from a Chinese customer? Indians are showing a much bigger interest and much bigger (car and biking) culture than the Chinese. India has been a producer of big bikes like the Royal Enfield. So, in your mind, the concept is not as strange. But the Chinese market is much larger than the Indian market at present. No. In our plans, India will be ahead of China for a while because it is easier to sell in India than in China due to regulations. In many cities in China, you cannot register motorcycles that have an engine capacity of more than 250cc. Now, they’ve opened up registrations in Beijing and Shanghai, but there is a lot of work to do not only in terms of brand building but creation of motorcycle culture. How does the Indian market compare with other global markets? It is totally different. Big motorcycle markets in the West have been around for many decades. In India, we’ve just started a few years ago in the late 1990s. So, in terms of evolution, those are mature markets. We know what to expect. India, we know, has a big potential, but is very unexplored. But we know that if we do the right things in terms of customer service, brand positioning, after-sales, we think we can cut out a significant share for our products. Where do you see the Indian market in five years? Good question. It’s very difficult to say, to be honest. I think in five years, if the pace of change goes on like this, India can be a major market in my area of operations. What are your favourite bikes to ride? My favourite bikes are always the future models. I think among the new bikes the Hypermotard 796 will be a hit. I like it a lot. At the moment, I am riding a Monster 696 in Italy. In China, I don’t have a bike as yet. Very difficult question. The Ferrari 458 is very beautiful. They’ve done a great job in designing it. Indians have always been very discerning buyers and always look for value. They’re willing to pay a price but only if they think the product is worth that much. After having done business in India do you also get that impression? Well, I’ll tell you, after the crisis everybody has started thinking like that. People have become more aware of the money they spend. But, our motorcycles have a technological content that competitors cannot match not only in terms of speed but also in terms of safety, rideability and so on. Very difficult to answer regarding India, as we don’t have a large enough base of customers to establish any trend for the Indian market. At the moment, the people who buy the bike in India are people with a big passion for the brand… and the people that I’ve met have the same amount of passion as bikers in Europe. Indians travel a lot and so they’re well acquainted with the Ducati brand. In the West, there is a lot more segmentation. Every family of bikes can be sold to different people. Did you always want to get into the car and bike industry? I always wanted to get into this. But in Italy everyone wants to get into this industry. I’d say I’ve been lucky to get in, but in terms of desire I always had the desire. I’ve been really lucky to work with the top companies for more than 10 years. With global economies picking up, how long before your sales in Asia pick up? In 2010, I expect a slight drop. I don’t think there will be a boom like the one we experienced three-four years ago. Who are your main competitors in the Indian market? At the moment, nobody. Harley-Davidson has not set up dealers. Ours are the only shops that sell big bikes. The Japanese bikes are not comparable to ours—Suzuki’s Hayabusa is sold through its existing dealers and so the customer experience is not the same.